A new agreement of MOU and Collective Bargaining Agreement (CBA) has been signed by the West Indies Cricket Board (WICB) and West Indies Players Association (WIPA). It has already been hailed as a turning point in the history of West Indies Cricket by the pundits and past players. President Dave Cameron signed on behalf of WICB and while Wavell Hinds signed the deal from the part of the players association. The deal was signed in a ceremony held at Accra Beach Hotel. 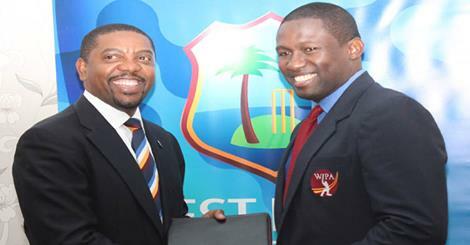 The deal has been signed for the advancement of sports, particularly cricket in the Carribean. This deal would mean that atleast 105 players will be engaged all round the world playing the gentlemens game. It would enable the players to get suited to different types of pitches where the skillset of different types of players will be tested. West Indies, currently is a big underdog when it comes to playing quality cricket. The meeting had dignitaries like world cup winning captain and chairman of selectors, Clive LLoyd , CEO of WICB Michael Muirhead, and director of cricket Richard Pybus. The news comes out as a welcome note, when there was belief that West Indies cricket is shifting its interest to administrators rather than cricketers. The deal also makes available more revenue for the domestic players, unlike the old structure where a lions share of earnings went to the international players. However Hinds also added that the agreement is not ‘foolproof’, there will be trials and errors in the document. This agreement means stability and we are operating in an environment which speaks to partnership and putting West Indies Cricket first. It will make sure that the pillars are in place to look after the players and the key stakeholders of West Indies Cricket – who are the fans.